As a Level 3 SATS (Syn Alia Training Systems) certified trainer, Mark focuses on training through communication and using relaxation as an adjunct to easier learning and good behavior on the part of dogs. Mark’s training revolves around SATS Perception Modification, Condition Relaxation and Bridge and Target work as well as some other very innovative, pet friendly and highly effective methods that he created or evolved. 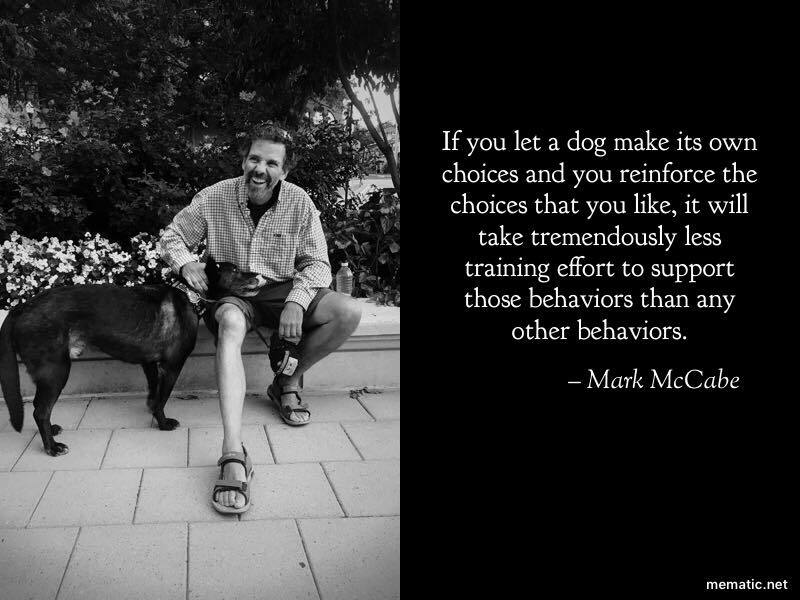 Mark trains dogs to the kind of behavior we want such as how to relax, how to greet guests calmly, and how to make better choices without the very indirect tools of obedience so often used in training. He explores concepts such as: why does a dog need to sit when greeting people if it can be perfectly well behaved doing natural behavior; how to teach a dog to choose a highly desirable behavior on its own with great reliability and without intervention or direction from its owners, and; why do dogs need to “go to place” when they can easily learn to be a calm, involved member of the family when new people come in? Mark is particularly skilled and innovative at helping dogs with aggression or anxiety problems let go of those issues and really get to a place where they can be much more pleasant and where they can really enjoy life and be comfortable in their world. It can be really exciting to see the changes that can happen very quickly, even with dogs that have not been helped by lots of other training of meds! Mark’s approach is of value to all dogs but especially those which have been hard to reach, those which are reactive, aggressive, hyper-intense, highly anxious, fearful or even depressed. His focus is on understanding and valuing the internal state of the animal and actually changing how the animal feels about people, other animals and things in its environment, not just on its external behavior.